On the 28th I returned through the Reserve to milepost 31. 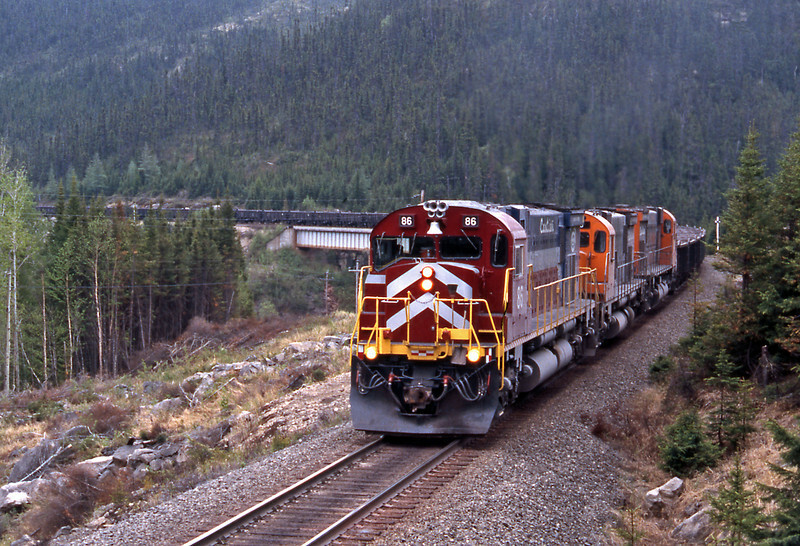 Listening to this train climbing along the MacDonald River Valley was spine tingling stuff. The sound of three 16 cylinder Alco 251Es at full throttle is a sound, once heard is never forgotten.